After months of planning, designing, and growing, all of the hard work paid off this morning when Burncoose Nurseries received the news that they had been awarded a well deserved Silver Gilt Medal for their ‘Traditional Plantsman’s Garden’ at the RHS Chelsea Flower Show. Designed by Louisa Lazarowicz and Geraldine Hammond, the garden, which is once again supported by Terra Firma Capital Partners, was created to illustrate how a garden exhibit would have been seen in the early days of RHS Chelsea Flower Show. Focusing on planting styles, fountains and features, plants that appeal to wildlife pollinators and the latest species, introductions and hybrids, the garden stood out as a reminder of the early days of garden shows. 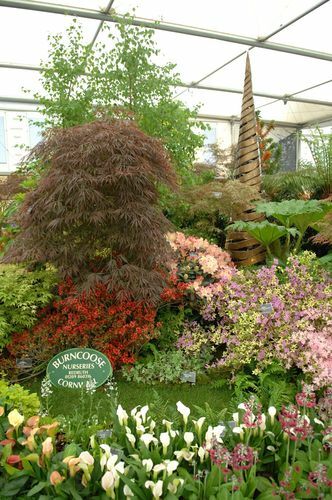 With more than 40 years’ experience at RHS shows and a family history and heritage in horticulture, spanning 150 years, including funding plant hunting expeditions, Owner of Burncoose Nurseries, Charles Williams , knows better than most why the RHS shows were so important to the development of the UK’s passion for plants. 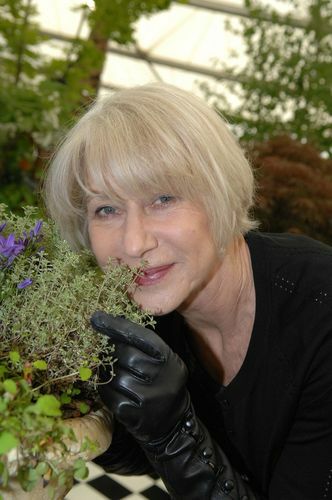 This is the reason for bringing a traditional plantsman’s garden back to Chelsea for 2013. Commenting on the Chelsea Silver Gilt medal win, Owner of Burncoose Nurseries, Charles Williams , said, “Our dedicated garden design team has worked tirelessly during the past 12 months to design and create a spectacular garden to showcase the true history and heritage of show gardens of the past and it is wonderful to be awarded a Silver Gilt Medal. Each year, Terra Firma uses their sponsorship at RHS Chelsea to support the work of The Prince’s Trust in changing young lives. 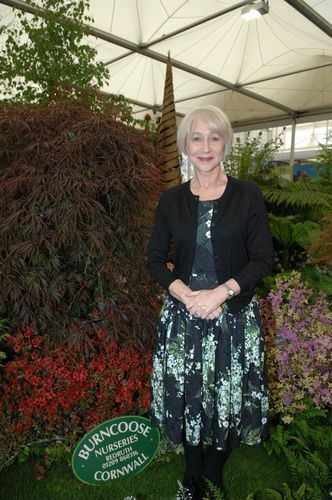 This year, Prince’s Trust Ambassador, Dame Helen Mirren visited the Burncoose stand, she said, “This is the second time I have visited the Burncoose Nurseries stand at Chelsea . I admire the concept of a traditional plantsman’s garden, which is designed to show how spectacular RHS Chelsea would have been 100 years ago and how this evolved to what we know today. Tim Pryce, Chief Executive of Terra Firma, said he was pleased to once again support The Prince’s Trust on the Burncoose Nurseries stand, he said: “Terra Firma is committed to charitable work and is a proud supporter of The Prince’s Trust and the outstanding work they carry out.